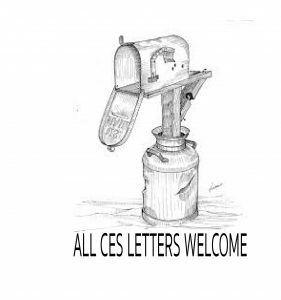 I published “A Reply from a Former CES Employee,” my magnum opus in Mormon apologetics, on April 1, 2016, which, in hindsight, was probably not the best date to release something that I wanted to be taken seriously. That said, I have been deeply gratified by the response I have received. All told, it has been viewed tens of thousands of times, and I have gotten a large number of kind emails from those who found it helpful in their attempts to find answers to the objections raised by church critics. We’ve never met but as I just (literally 2 minutes ago) finished your “A Reply From A Former CES Employee”, I wanted to drop you a line a say a HUGE thank you for what you’ve created… I have already been able to use info from your “CESReply” in conversations and it’s been great. Surely I will time and time again. I just finished reading your reply to the CES Letter. I found it wonderful. I met with the missionaries about 7 months ago and stopped after reading the CES Letter. I intend to start again. I can’t say I will convert, but I have a lot less reason not to now. Thank you for your reply to the “CES Letter”! I’ve gotten through the answers to 6 questions. Superbly brilliant! Funny, easy to follow, well-reasoned! Don’t know if I’ll ever get through all 251 pages, but just know of my gratitude for your efforts! I found your blog/letter through Cougarboard.com of all places. Just want to say thank you. It was a fun and inspiring read. I couldn’t put it down. Truly grateful that you took the time to do this and I can assure you that your original purpose (“if this helps even one person…”) was fulfilled. These messages are deeply humbling and heartwarming, and I want to express my gratitude to all who have taken the time to write to me, as I don’t think I’ve adequately responded to all of them personally. I’ve received many, many more responses similar to these, as well as a fair number of nasty notes from people who insist that I’m suffering from massive cognitive dissonance and am, in many ways, a terrible human being. You’ll be pleased to know that the kind messages outnumber the vicious ones by a ratio of roughly 10:1. Or, if you hate the Church and want to see it burn, you’ll be upset to learn that the response I’ve received has been much more positive than negative. I thought, then, that as I pass the one-year anniversary of the CES Reply, I thought it appropriate give a summary of the whole experience thus far. Perhaps the most profound praise I received was from my father, who suffered a stroke on April 11 of last year, ten days after my reply went online. He passed away less than a month after that. Dad read the whole thing from beginning to end, and he was thrilled with it. It may well have been the last thing of any length that he read in this lifetime, and it dovetailed with his own apologetics efforts that were the subject of his final sermon, delivered the evening prior to his ultimately fatal stroke. As such, the CES Reply will always be connected, in my mind, to my father’s final days, which were a precious time of family gathering and love. People continue to ask me whether or not Jeremy Runnells, the author of the CES Letter to which I replied, has in any way acknowledged my response. To my knowledge, he has not. He has a full section on his website tabbed as “Debunking,” which is primarily aimed at Fairmormon.org, and it references a couple of other articles. My reply is not mentioned. It is, apparently, unworthy of debunking. I have received second-hand reports that he tells people that I didn’t answer any of his questions and spent all 110,000 words of my response merely cracking jokes and attacking him personally. That last accusation has been made several times, yet my accusers can never provide me actual examples of ad hominem arguments against Jeremy. That’s because they aren’t there. I don’t expect my critics to concede this point, but I will reiterate my challenge to any reader – if you can find a single instance of a place in my reply where I either insult Jeremy or attack him personally, please call it to my attention so I can remove it immediately. Perhaps most notably is that this experience has also exposed me to the desire, both in and out of the Church, to find immutable, irreducible truths that are only open to a single, self-evident interpretation. For Runnells, that desire means that there is no other explanation for his lack of knowledge about Joseph Smith’s rock in a hat other than an extensive campaign of deliberate deception by Church leaders. For some active and believing members, that desire means that no prophet has ever made a consequential mistake. For me, it shows that those who harbor this desire are pining for a reality that does not and cannot exist. Any truth of any significance invites scrutiny and can be interpreted in a variety of ways. That’s why Republicans and Democrats can both read the Constitution and believe they are interpreting that document correctly yet still come away with diametrically opposite conclusions. The desire for irreducibility leads partisans to assume the absolute worst about their ideological opponents – after all, if Democrats/Republicans could see the truth, they’d know the Second Amendment absolutely doesn’t/absolutely does guarantee an individual right to bear arms. If they don’t see that truth, then the must be either imbeciles or demons. It’s also fascinating that thousands of different churches have sprung up over the centuries, all of which are devoted to the truth that Jesus Christ is the Son of God and the Savior of the World, and yet most of these churches are quick to disavow other churches who dare to interpret that truth in even slightly different ways. The CES Letter, then, relies less on factual falsehoods and errors than on hostile interpretation of a common set of facts. In every instance where Jeremy Runnells sees an event or a doctrine that lends itself to different points of view, Runnells assigns the worst possible motives to the Church and the best possible motives to its critics. Joseph and Brigham apparently never made an honest mistake or were subjects of misunderstanding or misrepresentations. Every defender of them is a hopelessly biased and brainwashed dupe, whereas every critic is above reproach with no hidden agenda. Every mistake by church members or leaders should be amplified, and everything they did and do right should be completely ignored. I do know that the quickest way to get banned from Jeremy’s Facebook page is to reference my reply. The minute it is mentioned, the comment is deleted, and the user is blocked. I have not made the mistake of personally commenting on his page, but I have been in the room when other have commented, and I have watched the comments disappear and the banning take place in real time. (This was shortly after I published my reply, so things may have changed, but I doubt it.) I think that demonstrates that Jeremy is less interested in open discussion than he is in perpetuating the narrative that his questions have never actually been answered and are, indeed, unanswerable. The whole point of my reply was not just to provide my own answers to Jeremy’s questions, but to demonstrate that the questions are answerable. That is not the same thing as saying that my answers are in any way definitive, or even that my answers are correct. Rather, it’s to highlight the reality that one can confront thorny issues in church history and doctrine and still come out with a testimony on the other side. Furthermore, you can do so without having to set aside reason or rationality to preserve your faith. Your answers may differ from mine, but I hope that if I’ve done nothing else, I’ve demonstrated that there’s no need to be afraid of the questions. As I read this overwrought and irresponsible slice of hysterical nonsense, I couldn’t help but wonder what actual magnitude of train wreck the Times had been prepared for. Given that most of the media insisted that we’d just given Hitler the keys to the White House, one would expect a train wreck much bigger than the one we’ve actually gotten. Where are the concentration camps and mass executions of dissidents? Trump’s closest flirtation with fascism – his travel ban that excluded legal residents of the United States from returning to their homes – has twice been struck down by the courts, and other than a few snarky and stupid tweets, he has taken no steps to Hitlerically dismantle the judiciary and has grumpily accepted and abided by both rulings. Other train wreck elements that the Left warned us about have failed to materialize. Remember when Trump was going to wipe out all rights and protections for LGBT citizens? He’s since quietly renewed Obama’s executive orders prohibiting discrimination against LGBT federal workers, and he’s stated his acceptance of gay marriage as the law of the land. Remember when he was going to blow up Obamacare completely and leave millions uninsured? He couldn’t even persuade his own party to pass a symbolic repeal of the Affordable Care Act that would include a replacement that was not that far removed from the law it was designed to replace. Now observers insist that a good deal of his proposed agenda is in doubt, which ought to be pleasing to the LA Times, as the problem seems to be that Trump is trying to wreck a lot of trains and doesn’t seem to be able to get the job done. As Scott Adams has pointed out – and you really ought to be reading his blog – the narrative has largely shifted from “Trump is Hitler” to “Trump is incompetent.” Given Hitler’s ruthless efficiency in executing his planned genocide, it should be obvious Trump cannot be both Hitler and incompetent at the same time. Yet the Times editorial and other critical pieces ignore that logical inconsistency and simply apply any and all epithets to The Donald in the hopes that one of them will stick. Critics do not demand that their criticisms be either consistent or coherent, and it tends to diminish the impact of each new paroxysm when they flail for ways to turn the volume up higher than eleven. “Ripping families apart” is the first complaint right out of the gate, so I assume that it’s the editorial board’s biggest beef. What’s curious is that they never flesh out this accusation, so we’re left to deduce on our own how Trump will supposedly accomplish the family-ripping. Is this a reference to the blocked travel ban(s), which aren’t actually doing anything? To Trump’s extremist immigration rhetoric, which so far has yet to translate into implemented policy? Specifics would be helpful. Without them, this is just hyperbolic nonsense. Trump’s scheme to “foul rivers” seems to have reference to Trump’s rollback of the controversial 2015 Waters of the United States rule, which was immediately blocked by the courts upon its issuance. So the Trump policy is to stop a brand-new rule that has never gone into effect from going into effect. If the Times were consistent, it would equally indict the Obama administration, and, indeed, every previous presidential administration, for fouling the rivers because they were not abiding by the 2015 rule, which is more about federal bureaucratic overreach than actual protection of rivers. As for Trump’s plan to “pollute the air,” the editorial seems to be conflating air pollution with climate change, despite the fact that CO2 is not a pollutant in the traditional sense that inhaling it can make you sick. CO2 does not present any health hazard whatsoever, and it’s quite good for plants. In fact, you’re exhaling it right now, you polluter, you! As for climate change, i.e. the Times’s contention that Trump will “intensify [its] calamitous effects,” I am exhausted by the massive amount of ignorance on display whenever this subject is discussed, and I am under no illusions that anything I say here will move the needle in any direction. Please note that the Times, and every other observer, can cite no actual example of how Trump’s policies will do this. Yes, he is rolling back Obama era regs on the subject – regs that, like the Waters of the US rule, were blocked by the courts and never implemented – but even the proponents of those regs have conceded, under oath, that the Obama regs would have no impact on climate. Trump doing nothing on climate change, therefore, will have the same effect on global temperatures that Obama’s regulations would have had – i.e. none whatsoever. (1/100th of a degree is a measurement too small to be discerned from statistical noise.) Surely, then, Trump’s inaction will do nothing to intensify climate change’s “calamitous effects,” which, whatever they may be, will not be at all mitigated by anything currently being proposed by world governments to avoid them. Trump’s do-nothing plan does have the benefit, however, of not being a massive regressive tax on the poor, who shoulder a disproportionate share of the financial burden when energy prices skyrocket to pay for a symbolic gesture that accomplishes nothing with regard to the climate. That leaves us with the charge that Trump will “profoundly weaken the system of American public education for all.” And how will Trump do this, given that education is almost entirely a state function, not a federal one? Betsy DeVos, the much-maligned Secretary of Education who is supposedly the harbinger of national ignorance, simply does not have the capacity to profoundly weaken the public education system. The Federal Department of Education, a fairly recent invention that does little but provide block grants to states, is usually only noticed when it’s acting as a nuisance, as it did when states were compelled to labor under the burdens of the Bush-era No Child Left Behind Act, which has since been repealed. DeVos is currently engaged in regulatory tinkering to make school choice more palatable, but absent a drastic act of Congress, there is little or nothing she can do to keep public education from publicly educating. The Times editorial continues with examples of Trump’s dishonesty, stupidity, and irresponsibility, all of which are more or less accurate. But in reiterating the extent of his profound foolishness, the piece merely restates the obvious and adds nothing to the conversation. For my part, I maintain, as I have from the beginning, that Trump is an awful person and, so far, a lousy president. I am encouraged that the system of checks and balances, which was designed to prevent lousy presidents from destroying the Republic, seems to be working as designed. My best-case scenario was that Trump would merely be an incompetent buffoon, and that seems to be how this is playing out. As such, this train wreck has far fewer casualties than I, personally, had anticipated.